As the New Year draws closer, many of us are pulling out our notebooks and tallying our resolutions, only to forget about them just weeks into January. What exactly do you want to change about yourself? If you’re like majority of Americans, it’s likely you’re gunning for weight loss. But was that on your list last year? For as long as I can remember, it’s been on mine. Even after a 50-pound weight loss only three years ago, an integral part of my womanhood seems to be wanting to lose weight whenever I’m able to set a resolution. …But what if I’m making the wrong resolutions? After tallying up my accomplishments, triumphs, and hardships I’ve braved, I realize that no number on the scale can provide me with that personal fulfillment and joy. Maybe, just maybe, when setting out for better health, we’re destined for something more empowering. Alex Ness knows a thing or two about empowerment. As a former video game designer, Alex spent a large part of his former career sedentary. While he had a successful career in video game design and production for 30-some odd years, he realized that the lack of activity and physical stimulation was taking a toll on his physical and emotional wellbeing. Eventually, he hit a breaking point and decided it was time to do something with his life — and the lives of others. Instead of feeding an industry that encourages individuals to be sedentary, he set out to get people off the couch and life a healthy lifestyle. Digging into his old athletic roots, Alex became a trainer and began his journey to find the activity that empowered him and his clients to the utmost. And that’s how Alex found Title Boxing Club. 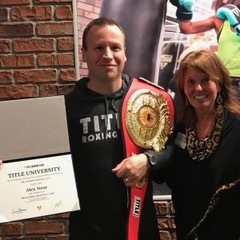 While Title is a reputable name in the boxing world, Alex found that Title’s boxing workouts and training were strengthening and powering for all individuals. Last year, Alex and his family left sunny California to find community in Rochester. With a fresh start on the horizon, Alex decided to open his very own Title Boxing Club in Pittsford Plaza. While Title officially opens in January, the club is currently seeking founding members and is holding community events to get the word out about how awesome boxing really is. On Sunday, December 17, Title will be holding a pop-up class at Athleta in the East-view mall at 10 am. There’s likely to be similar events in the future. 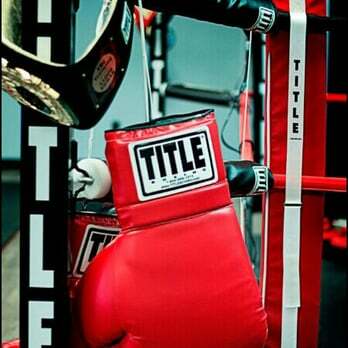 So this new year, will you join me in seeking a higher purpose at Title Boxing Club? Let’s empower our bodies, minds, and hearts in 2018.